MKM’s award-winning living architecture maximizes the social and productive value of roofs, surfaces, and courtyards. We employ green roofs, living walls and façades in our projects to modify climate extremes, to retain stormwater on site, and to minimize the carbon footprint of buildings. Our green roofs and walls promote urban agriculture and create vital areas for learning and repose. MKM selects plant species for form and interest as well as habitat suitability for birds and pollinators, with regional bio-diversity in mind. MKM Landscape Architecture was approached by Vornado Realty Trust to design and install a terrace at 1 Penn Plaza to provide an inviting outdoor space for office tenants. The design includes two separate seating areas with facing benches for impromptu meetings or lunching. A wide area of semi-intensive soil will feature meadow with understory trees and pollinator plantings. 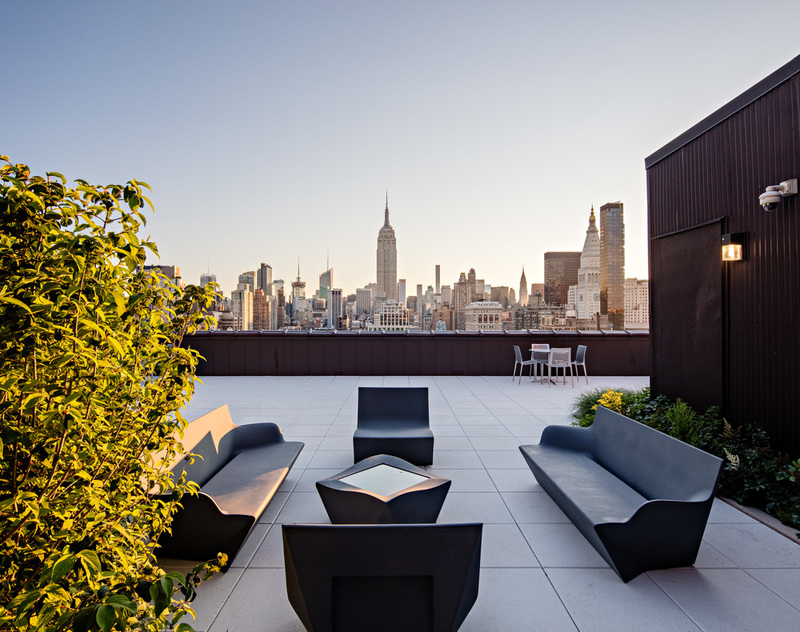 MKM worked with CookFox and to transform an existing terrace into a contemporary and inviting outdoor space, featuring a wooden sun deck, an oval lawn, outdoor kitchens, and shared gardens for residents of this 51 story residential tower near Lincoln Center. 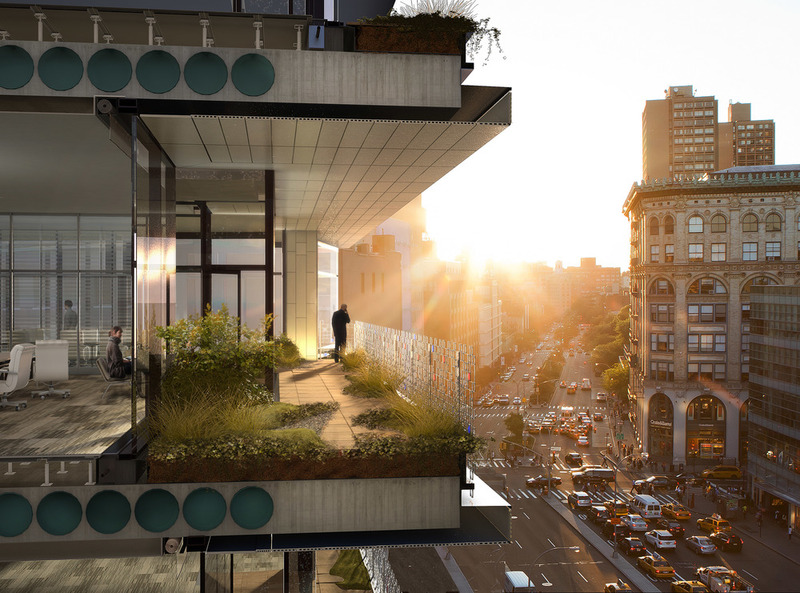 MKM was selected by Ogden CAP Properties to serve as the Project Landscape Architect to assist with the design of a 20,000 square-foot intensive green roof on their 43 floor mixed-use One Lincoln Plaza property. MKM teamed with FX Fowle to provide design documents which included custom detailing for planter edging, green-wall design, and a planting plan. In addition to the preparation of construction drawings, MKM worked with the other members of the design team to secure permits; coordinated the site design work with existing utilities and architectural challenges; and developed graphic presentations for certain design elements. 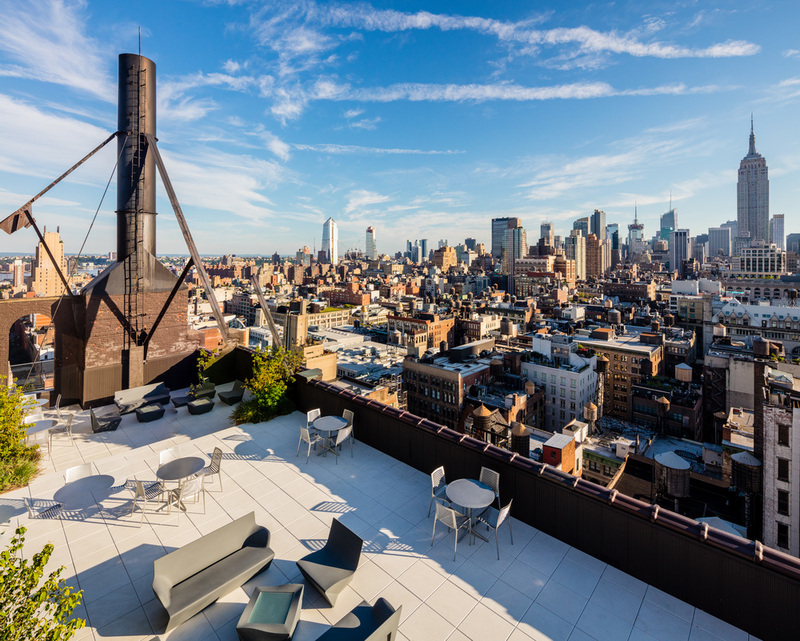 MKM worked with L & L Holding company to transform the upper terrace of a building at 114 Fifth Avenue into a more desirable spot for lunch, evening events and meetings. The terrace, while enjoying wide views of the NYC skyline, offered no protection from sun or wind. MKM performed a series of solar studies and then removed selected pavers to insert large planters on the terrace for trees. The trees create outdoor rooms and shade seating areas. This dynamic intensive/extensive green roof in New York City sets a new precedent for urban agriculture and plant diversity on a rooftop terrace, while incorporating such sustainable initiatives as recycling gray water for irrigation and retaining storm water on site. The planting palette of the green roof includes 160 different species of ornamental plant material with numerous urban farming opportunities interspersed throughout the landscape, a productive island habitat 35 floors above lower Manhattan. Sky Island at the Visionaire most recently won the Award of Excellence in Intensive Residential design from Green Roofs For Healthy Cities. MKM Landscape Architecture worked with CookFox Architects to design exterior spaces for a new commercial building on West 22nd Street, adjacent to the High Line. A series of terraces with intensive green roofs create outdoor rooms for projected commercial tenants. Curved planters and wild gardens interspersed with wooden decking and paved spaces provide flexible use venue spaces for tenants. 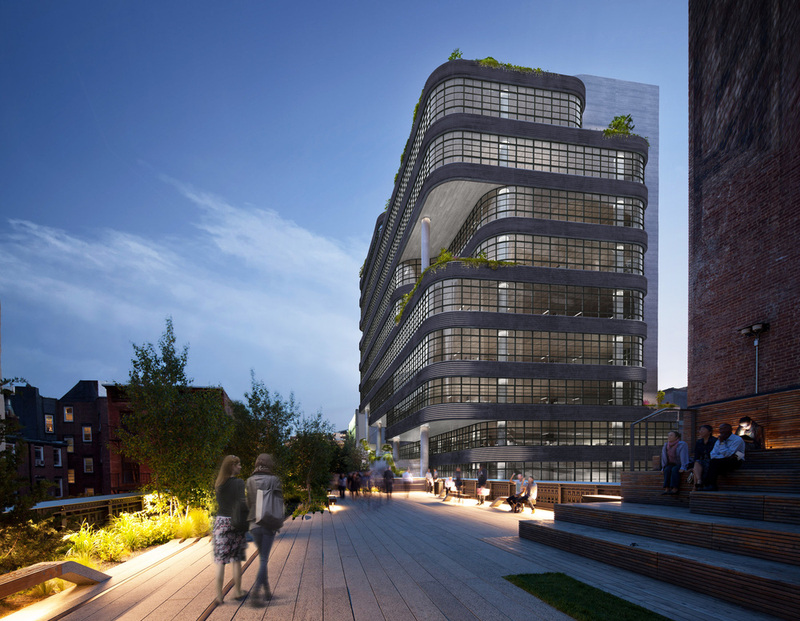 The Related Companies and CookFox Architects reached out to MKM to introduce living architecture and green infrastructure components into a new building at the corner of Houston and Lafayette Street in Soho. MKM developed green roof systems for four wrap-around terraces in the building. All will include both extensive and intensive systems, and use native plant materials to retain 95% of stormwater. The building, proposed to be LEED platinum, will replace in quantity and in species the pre-development vegetation within the building footprint. MKM developed a plan for street trees after studying historic paving patterns and existing neighborhood-wide street tree distribution. FXFOWLE and CO Architects reached out to MKM Landscape Architecture to design a green roof on top of their newly constructed seven-story School of Nursing building for Columbia University. 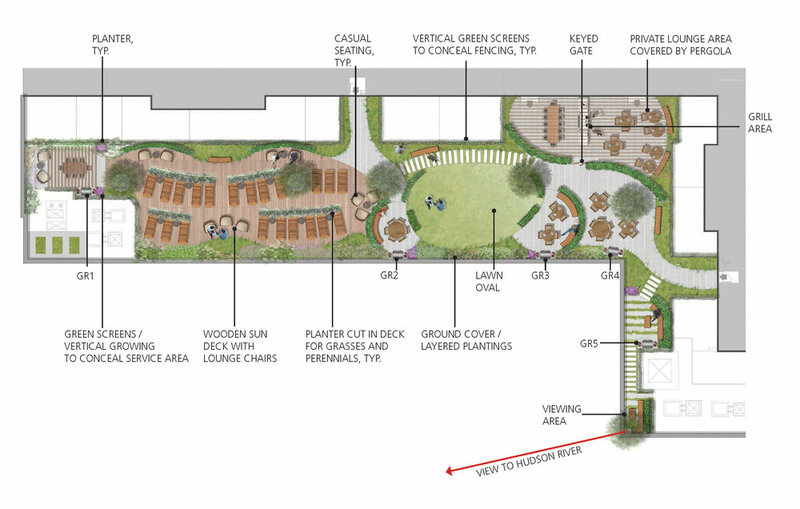 Features include outdoor study areas, a large gathering area for parties and fundraisers, flowering trees, an edible garden, a shade garden, an aromatic garden, rectilinear tuteurs and green screens for vertical growing of vines and vegetables, and a band of reflexology pavers near a garden path. MKM collaborated with The Downtown Group on the design of this unique rooftop facility and year-round science-based outdoor classroom. This 9400sf Eco Center includes an intensive green roof with individual planting zones for each grade, a greenhouse classroom, solar panels, composting center, weather station, picnic area, covered outdoor classroom and turtle pond powered by a windmill. Students are able to learn about food production, and can start vegetables from seed in the greenhouse and then harvest for use in the school cafeteria. The Eric Dutt Eco Center was awarded the 2014 Green Roofs for Healthy Cities Award of Excellence in the Intensive Institutional category.